The Animal Kingdom has, by far, the best counter service options than any of the other parks, with the exception of the Yak & Yeti counter service (don't eat there, trust me it is not as good as the sit down restaurant of the same name). That being said, all of the other counter service options are worth raving about. Tamu Tamu is a great one located just over the bridge in Harambe. It serves both breakfast and lunch items. The pulled beef sandwich is phenomenal. 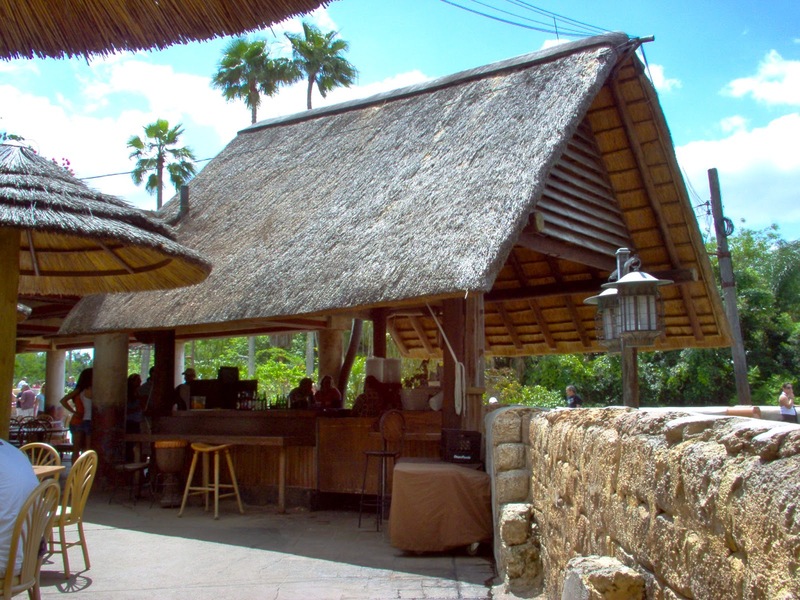 I highly recommend grabbing one of those and trekking across the street to the Dawa Bar for a tasty Sugar Cane Mojito. If timed right, you can enjoy your lunch while listening to the Burudika Band or the Tam Tam Drummers that perform in the center of Harambe. While visiting Dinoland, check out Restaurantosaurus. Designed out of a genuine Airstream camper, this counter service features the best "adult" lemonades. In my opinion, this is the best themed counter service in Walt Disney World, as it was designed to be the "hang-out" of the Dino Institute students. There are all sorts of kitschy items placed throughout the dining areas, so be sure to look all around you. Another one of my faves is the Flame Tree Barbecue. Situated in Discovery Island, this counter service offers barbecue, and a pretty decent one at that. Seating is hidden around back, with several different pagodas. Although you have to dine with begging birds, I personally feel they add to its ambiance. While eating here, definitely check out the details painted on the ceilings of each pagoda, each one features a different predator-prey combination. 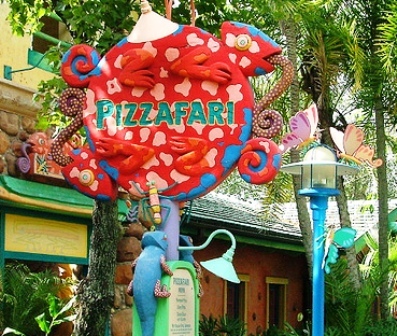 The colorful decor of Pizzafari is something to see. While you're never going to find a great pizza in WDW, they offer decent menu items here. Plus the dining area is huge and you should never have trouble finding a table. As a food lover, this is one of the reasons I absolutely love the Animal Kingdom. It is the best place to find really great food at a decent price, something not often found in the rest of WDW.